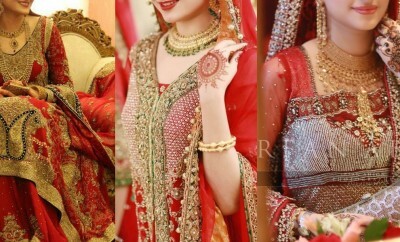 Bridal Dupatta Setting Styles 2016-2017 - How to set Bridal Dupatta? 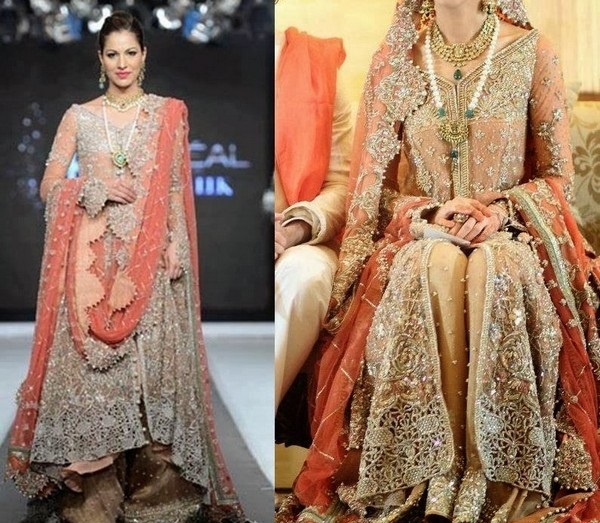 No matter how expensive and classy dress your wear on your wedding day, if you fail to carry it in an appropriate way, you just fail to deliver a fabulous look ultimately. 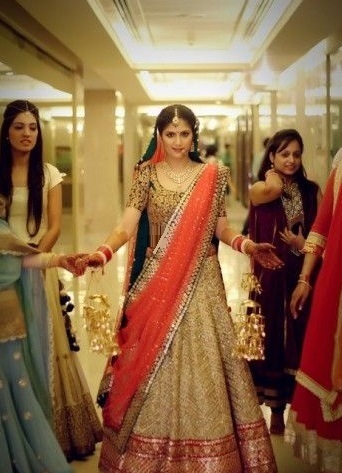 So it’s always important to carry and set your wearables in a way that makes them look more impressive and glamorous. 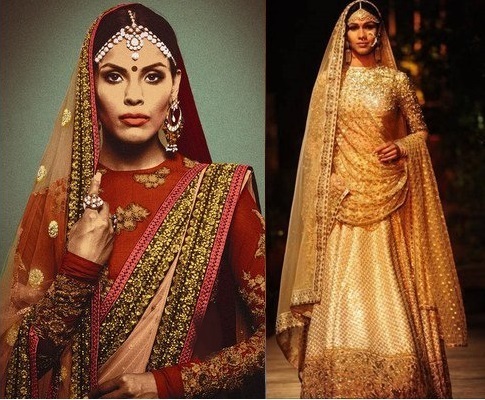 When it comes to wedding wear, women have to stay much conscious about their bridal dress and of course the way they set their dupattas. 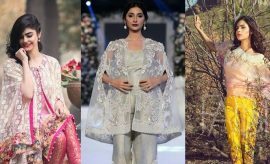 Though the use of dupatta with casual as well as formal suits has just be eradicated from the fashion trends almost everywhere now, but still when it comes to bridal wear, the importance of dupatta cannot be denied in any way and a perfectly draped dupatta can give an extremely wonderful look to the bride. 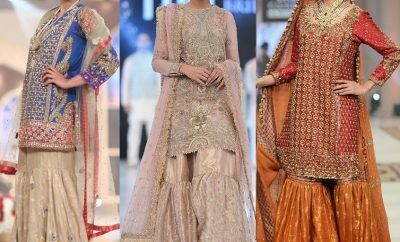 Bridal dresses have always been preferably designed with heavy embroideries for it’s quite important to make them look the way they are supposed to be. 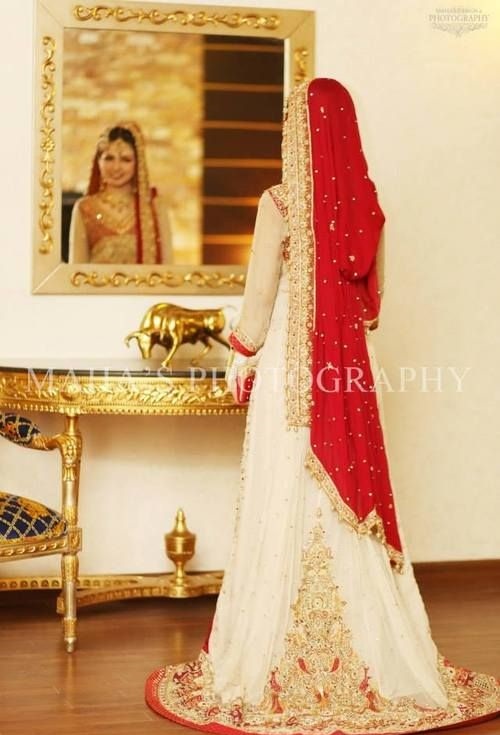 A bride’s dress must be unique and heavier as compared to others, to make it look prominent in the ceremony, and the best way to make it appealing is load it with more and more embroidery. 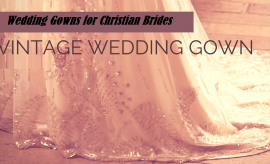 With the advancements in fashion industry the trends have changed a bit and a bit lighter bridal dresses are now designed by designers as well. 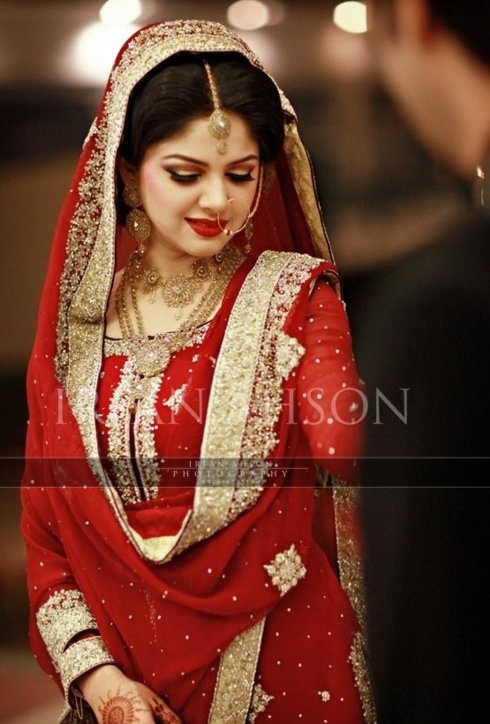 Yet the most difficult and tricky task for the beauticians is to drape the bridal dupatta in a way that makes the bride feel comfortable with it, and keep it stay at it’s right position without spoiling the grace of her dress. 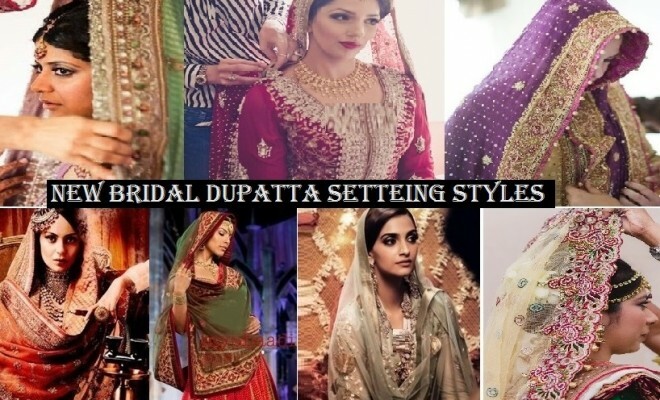 So today we will learn How to drap Bridal dupatta perfectly by a simple Bridal Dupatta Setting tutorial along with trendy bridal dupatta drapping styles. 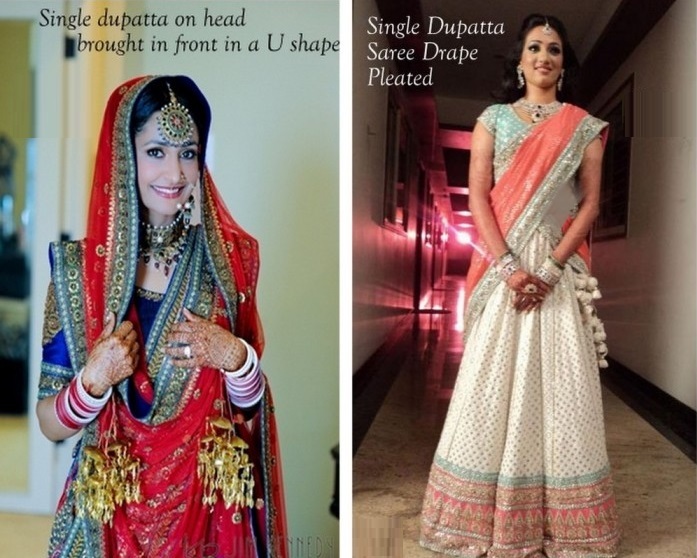 There are a lot of styles to drape bridal dupattas like the traditional shoulder hanging styles or anarkali style etc. 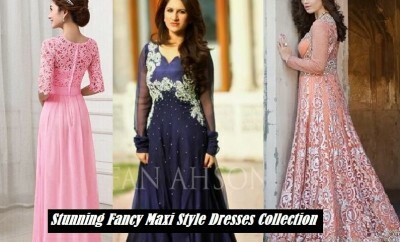 These are the styles which have been used since ages in Asian countries like Pakistan, India, Bangladesh, Sri Lanka, UAE and other regions. 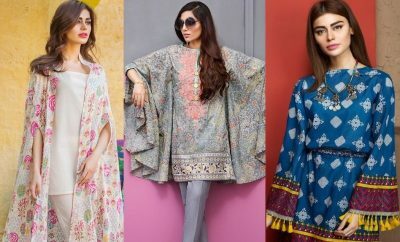 But people love to follow some different styles now to look unique. 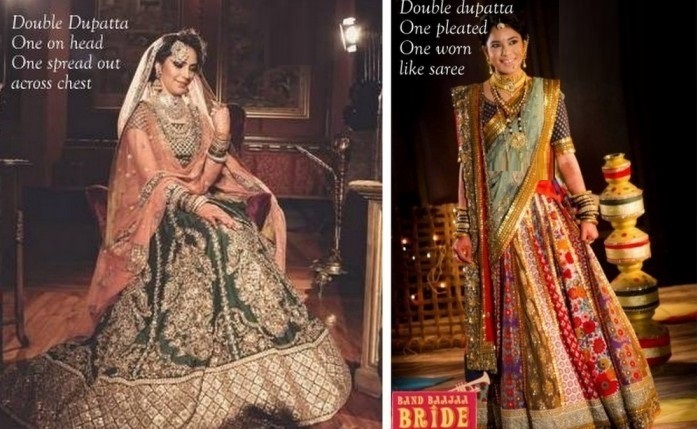 This article is all about introducing some new styles of setting bridal dupattas along with some useful tips to drape it perfectly. 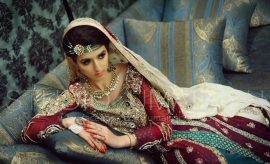 It is going to be quite useful for Indian and Pakistani brides and all Muslim brides and Hindu brides from any region around the world. 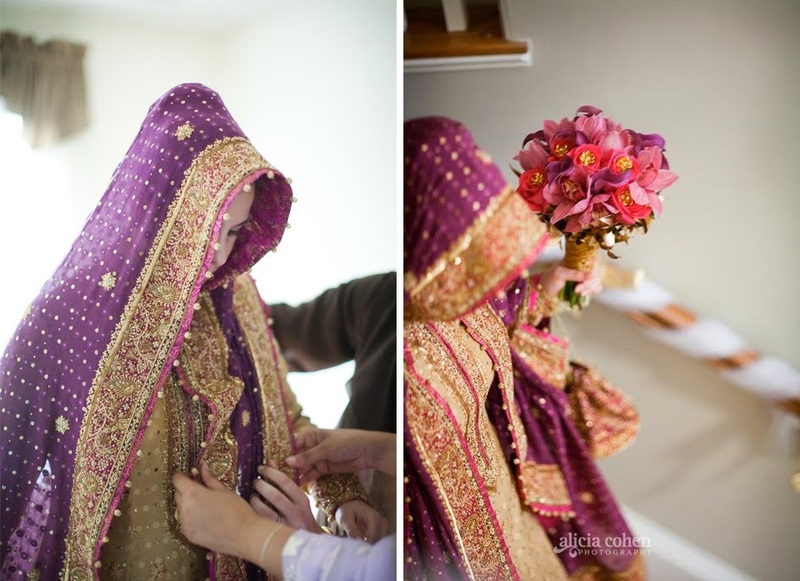 To set your bridal dupatta in a perfect way, first of all hold the dupatta from the middle section and put it exactly where the bride has tied her teeka. 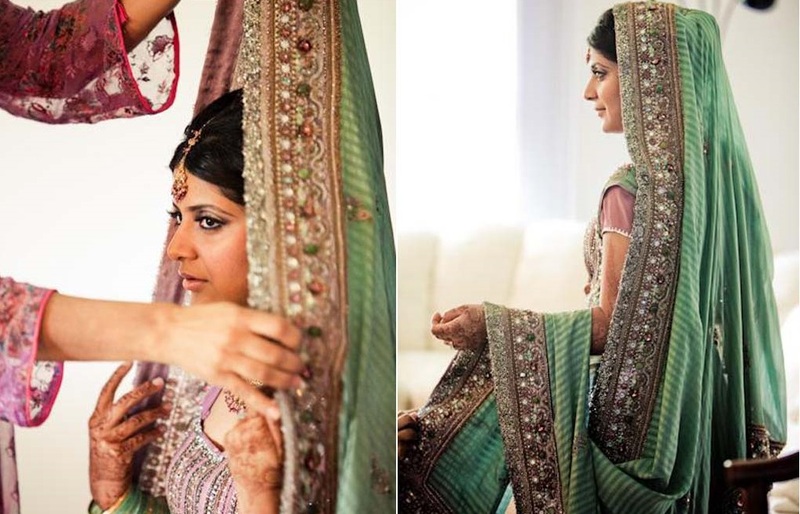 After placing it at the exact position, take your handful of hair pins and safety pins to pin it up. 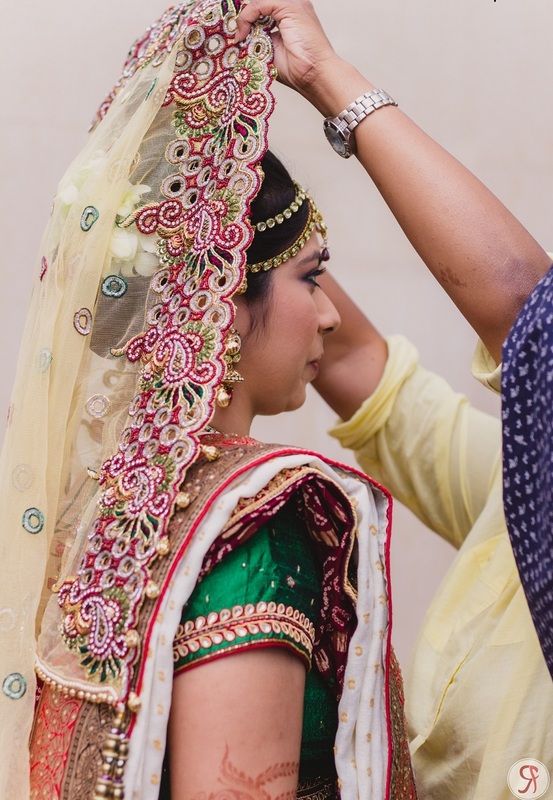 Strat placing hair pins upside down with the pointed section being adhering the hair, each about 4 cm apart. 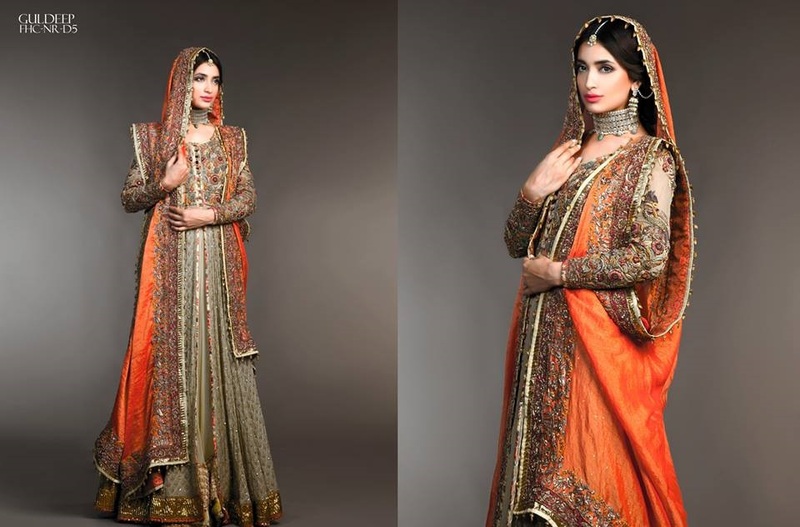 Make sure to place them around the embroidery section of your dupatta so it may not destroy the design. 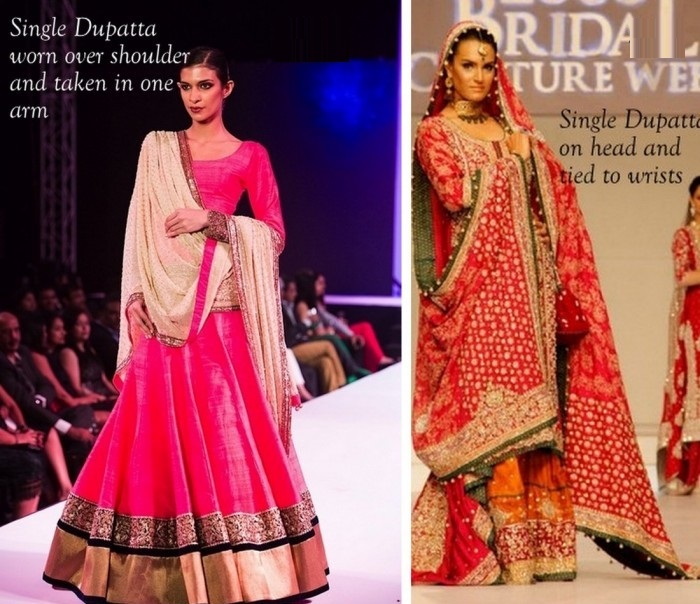 Now take the right portion of your dupatta and start pinning it at the right shoulder without making it hang down the shoulder. 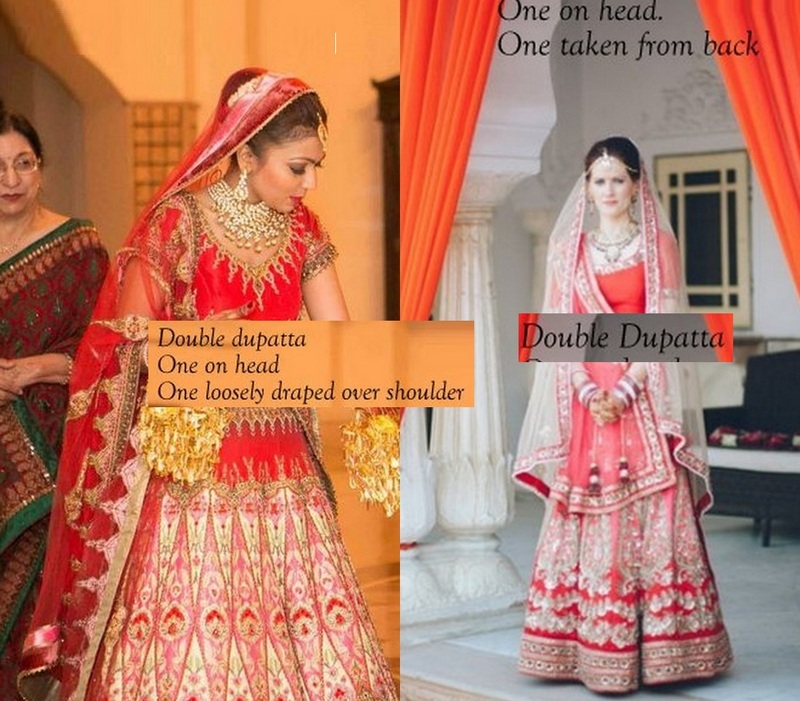 Take the left portion and adjust it according to the style that you prefer. 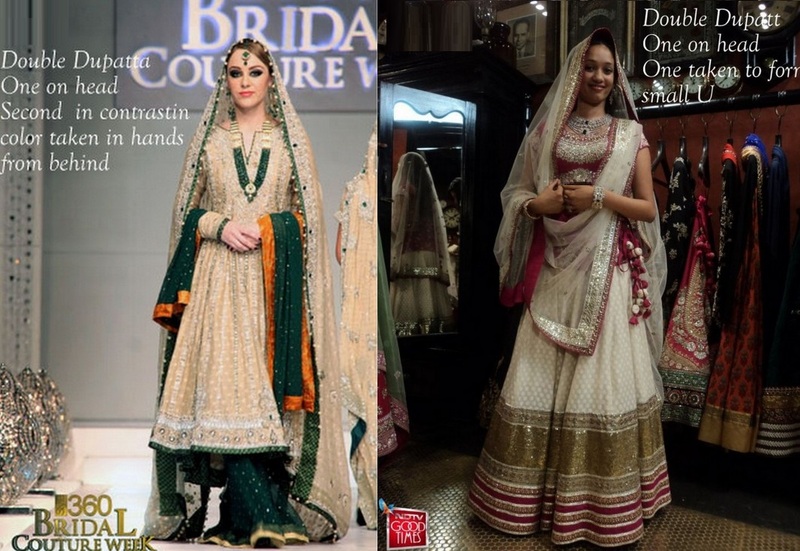 For example for the anarkali style you simply need to take the left end and pin it on the right shoulder with the front end being hanging over the front in U shape. 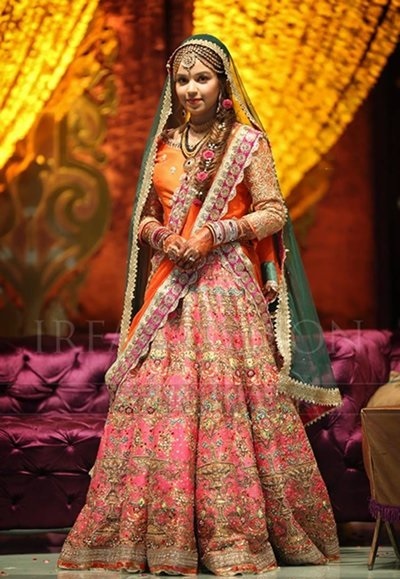 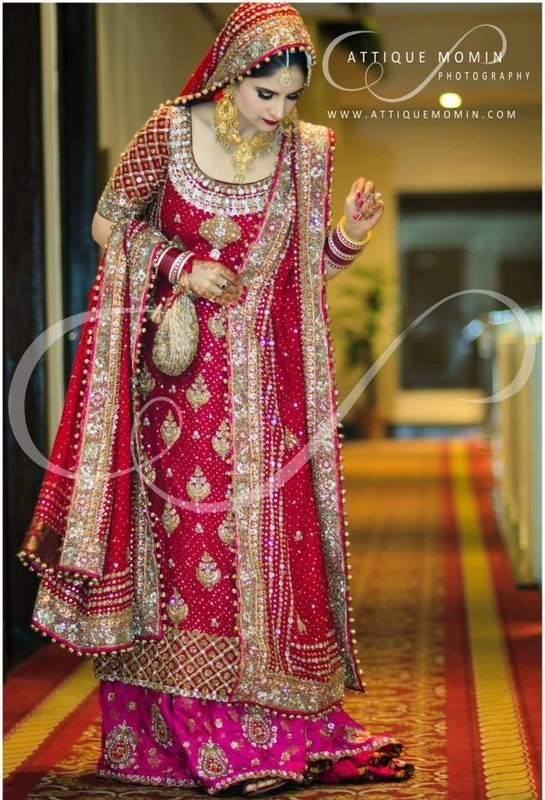 This is one of the classiest dupatta setting styles for brides with healthier figure. 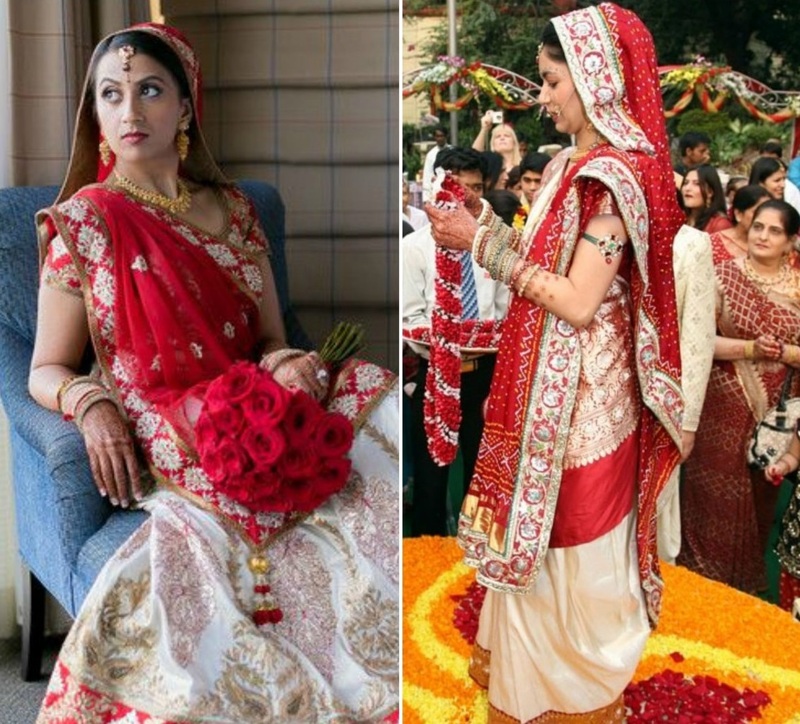 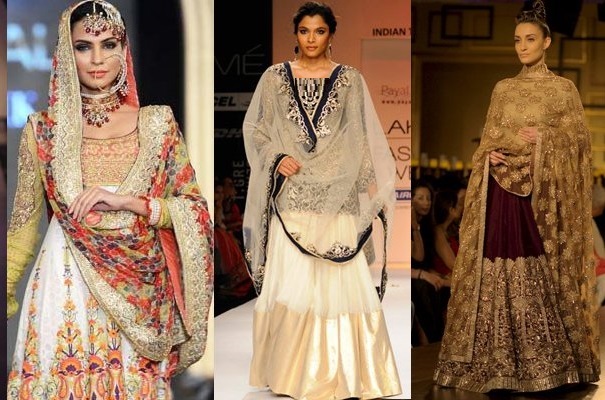 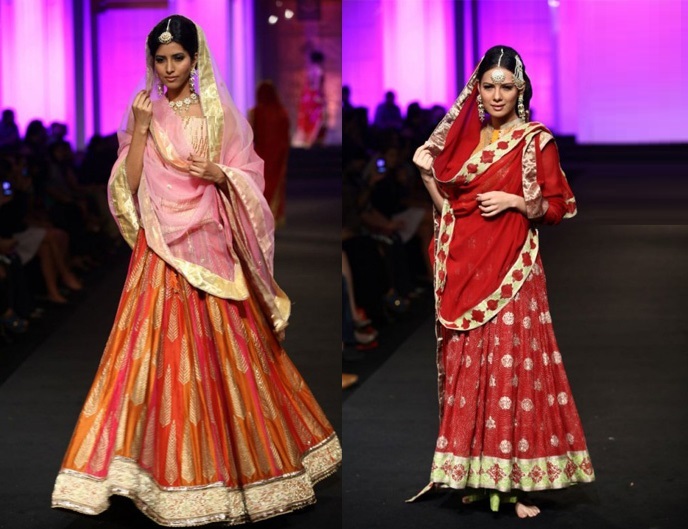 Here are some fantastic trendy bridal dupatta setting styles. 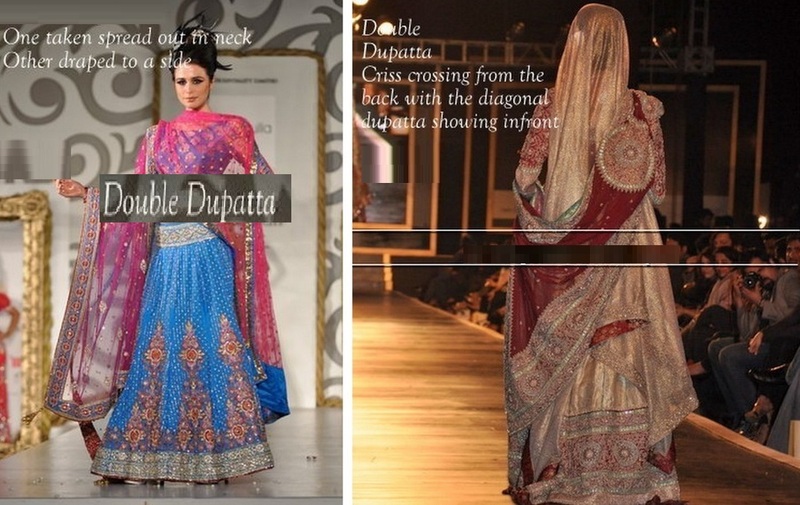 Have a look at them and share your views about these and the Dupatta draping tutorial in the comment section. 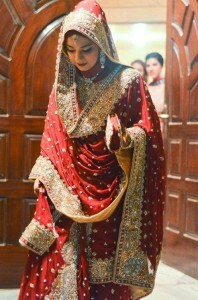 Stay connected with Stylesgamour wedding trends Gallery for more new wedding ideas and trends. 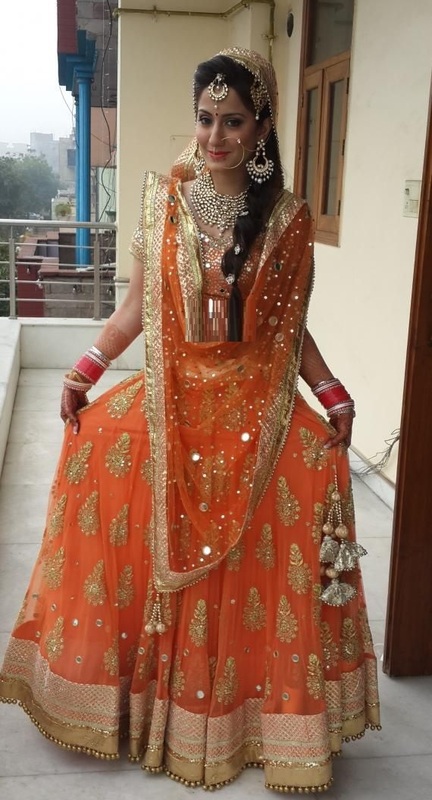 ← Previous Story How to Get Rid of Dark Circles with Natural Remedies at Home?